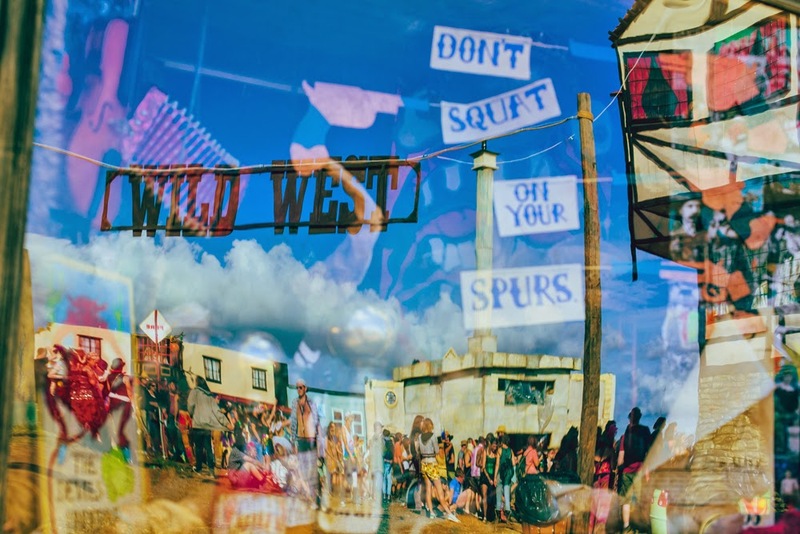 Most festivals are content with having one theme to stick to throughout the event, but not BoomTown; with nine completely different districts making up this bonkers fantasyland of ultimate escapism, all fancy-dress bases are covered! From the backstreet barbers in the Wild West to the glamourous ladies-who-lunch of Mayfair Avenue, there’s a whole plethora of characters just waiting to take up residence in one of the unique areas of the city. 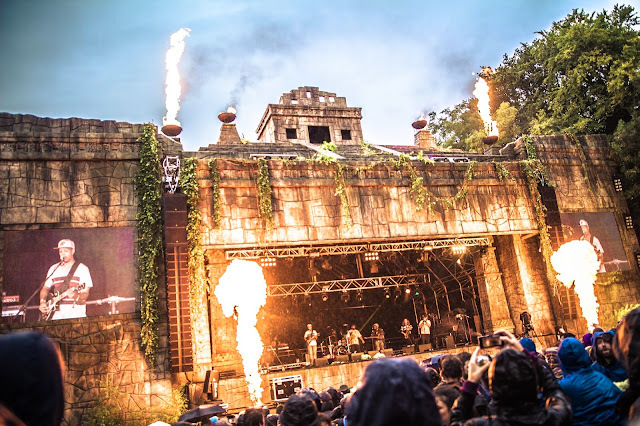 BoomTown, taking place over 13th-16th August at the Matterley Estate near Winchester, has already announced all 500 plus acts performing this year, including Stephen Marley, Flogging Molly, Gogol Bordello, Matisyahu, Barrington Levy, Squarepusher, Noisia, Spor, John Butler Trio, Less Than Jake, Infected Mushroom and hundreds more across nearly every conceivable genre, the details for each of the city’s districts can now be unveiled, along with all the madcap and bizarre venues to be found within them. With so many districts, streets, venues and sideshows to take in, the ever creative powerhouse of BoomTown Fair have launched their very own news channel, BTN, to deliver short, snappy news bulletins outlining each of the districts and all the wonders that can be found within! The full playlist of district videos can be found by clicking here. 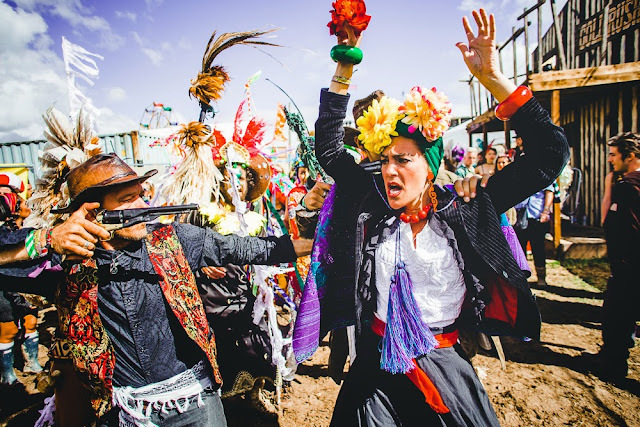 Barrio Loco, a passionate playground filled with technicolour and a true zest for life! This is the home BoomTown’s Glorious Leader as well as many an action packed venue including, Circo Bassline with their Caba-rave; the Happy Slap El Espectaculo Esqueleto and Samedia Shebeen. 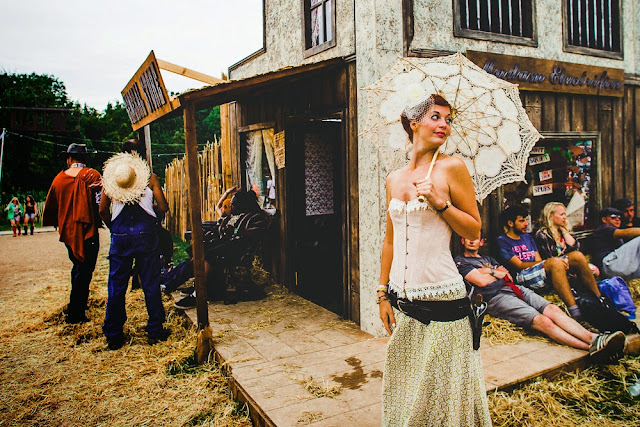 Visitors are advised against taking a wrong turn and ending up in Breaking Boomtown Lab. For a spot of reinvention head to La Belleza Muerto; those of a sporting disposition may feel brave enough to hunt down a worthy adversary in the interactive gaming zone of Dissosia Casa de Balanceo Loco or throw the biggest shapes in the ring at The Dance Off! Back up the hill from Barrio Loco lies the all the prosperity of Mayfair Avenue, join the 1 percent-ers in their tax free haven or try to swindle them out of their fortune. Revel in these golden streets where the stakes are high and the fun is serious! With establishments such as Charlie Browns Casino and Bar where one can win or lose big; interactive decadence of the Park Hotel boasting cocktails, room service, gaming tables and music shows; festival entertainment elite, the Bearded Kittens’ very own Opera House and The Fitzslones’ mansion party in Funkington Manor. There are plenty of sideshows to entertain including Copper Feel Cabaret and the Candy Trash Beauty Boutique. The Slapbox is there for ultimate image capturing or glide around in style at BUMP Roller Disco. The OldTown pirate port tempts passers-by into its cobbled back streets and bawdy taverns for a weekend of raucous revelry and clandestine celebration! As the first place for many settlers, OldTown provides a range of amenities to keep transient visitors occupied; The Job Centre will be on hand to find gainful employment for all new arrivals within the city, sending citizens off to work within other establishments at the fair, prepare for the new employment opportunities with Jack The Clippers barbers.Grandmas Living Room offers homely comforts along with the more communal space of Peoples Front Room. There is also Rimski’s, a loveable dive filled with live music enthusiasts. Or for something totally different go visit Wayne and Wanda’s grounded cruise ship for the ultimate lip-synching experience! Offering straight up redemption is the Dank Parish’s ‘Church of The Sturdy Virgin’. The miscreants out there should watch out for the Boomtown Bobbies who will be ensuring law and order are obeyed at all times! Moving down the hill to the area of DownTown is home to ChinaTown, the colourful mecca of the digital new age where gaming is all the rage, with a sound track of Ska Punk. Pop into Alan’s Happy Ending Cinema to experience another dimension in 4D entertainment. Hang out with Mr Hung for t-shirt printing with a difference or lose yourself (and your savings) in the Lucky Cat Musement Arcade. Bend some circuits with So Fun Tek and play live 3D Mario in Dubtendo. There’s also a totally 21st century gaming experience available with Digital Funfair and the mash-up make over at The Freak Boutique punk parlour! The seedy underbelly of DSTRKT 5 houses some of dodgiest dives in town and the Leisure Centre, Asbo Disco and the Old School Garage are all returning with their much famed antics and outright mayhem, along with other interactive venues such as the Spaceport, Jungle Syndicate and Amental. For those brave enough to cross this galactic border there is a whole other worldly realm of delights to be explored in this pan dimensional district. There is mind, body and soul modification at The Body Shop, a regrettable new face from Downtown Tattoos, a questionable evening in the Red Rash Inn, a mighty good wash down from the 24hr garage girls or selling your soul to We Buy Gold in a desperate attempt to escape the DSTRKT! TrenchTown is more of an ideology than a physical district. Spread throughout the city, the residents of TrenchTown have their common bond, not over boundaries and buildings, tbut through a shared love for reggae, roots and dub culture. The Lion’s Denhas risen up and ascended the hill to a previously untouched area of the city. Tangled Roots has also packed up their stacks and relocated the full on celebration of soundsystem and dub culture to a woodland clearing close to the suburbs of Mayfair where Unit 137 and Lion Pulse will once again be battling out the soundclashes for all that stomp in it! 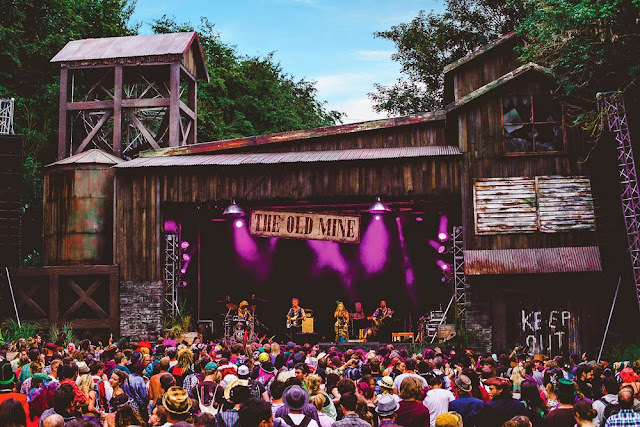 Keeping TrenchTown grounded is the Hidden Woods, one of BoomTown’s most beloved spots this natural roots location houses tree-topped walkways, sandy spots with sun-splashed clearings, wooden huts hosting the ultimate reggae experience. Just across the track from KidzTown is Whistlers Green, a crossroads of creativity where participation is everything! There are lots of things to try and do here from; trapeze to black smith workshops, cider making to spoon carving or a relaxing message or dip in one of the hot tubs. Go astray in the Lost Horizons sauna and hidden gardens or tend to your soul in The Healing Place, featuring the wishing tree, mother and child space, daily morning yoga classes & a range of healing therapies including Acupuncture, Osteopathy, Deep Tissue and Thai massage. The calming confines ofWhistlers Green provides a relaxing environment to soak up the sublime array of tranquil tunes at the beautiful Floating Lotus stage. Relax in the many gardens and chill out zones with a cup of Chai or head to the Hobgoblin Ale Garden for a refreshing draft. With so much going on, the bite-size news episodes are a great way to introduce and give a good insight into all the nine individual districts have to offer. Check out the full playlist here.